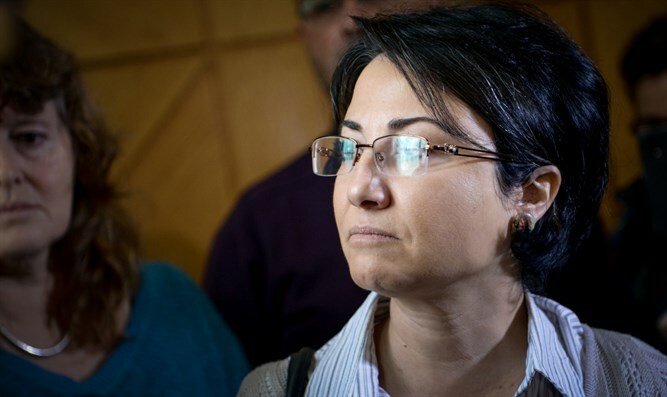 Hanin Zoabi refuses to aid handicapped Israelis, Palestinian Authority Arabs who want to visit the Cave of the Patriarchs. Ron Dei'iy, a wheelchair-bound Israeli, turned to Joint Arab List MK Hanin Zoabi asking her to push for accessibility at the Cave of the Patriarchs (Me'arat Hamachpela) in Hevron. "Unfortunately, specifically in such a central and important place, which belongs to the State and is managed by the State, I and my friends are prevented from entering the site. There are over 100 difficult, tiring, and lengthy steps waiting for anyone who wishes to enter the Cave of the Patriarchs," Dei'iy wrote. "This building has deep religious holiness. According to tradition, it is the entrance to the Garden of Eden. Over a million people visit each year. This isn't a political issue, it's a humanitarian issue. "Jews, Christians, and Arabs are prevented from accessing the site due to its lack of accessibility." Dei'iy also explained that the Palestinian Authority's municipal control of Hevron is what prevents the Defense Ministry and Civil Administration from making the Cave of the Patriarchs accessible. Zoabi's parliamentary assistant wrote back to Dei'iy: "There is no question that accessibility is important, but we do not deal with requests which pertain to places in the occupied territories." Dei'iy responded by pointing out that such a stance "severely harms the Palestinians there as well." "There are Palestinians there, and a solution will help everyone," he emphasized. "We have noted [this], but as I said before, we do not involve ourselves in issues which pertain to the occupied territories," Zoabi's assistant wrote back.